All clouds have a silver lining yes, but this one is extra special because it has a lamp inside! 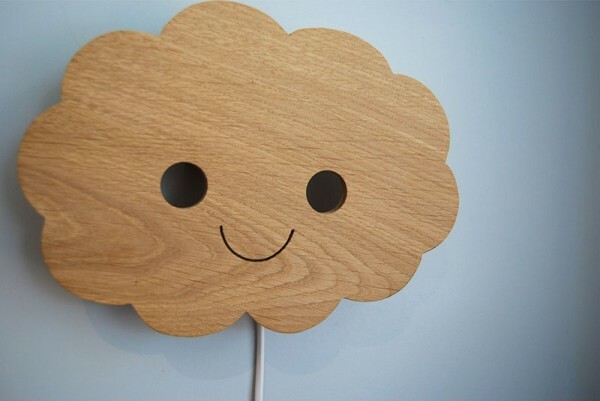 Light the night with this beautifully sweet wooden Happy Cloud Lamp from Etsy. Made from the most gorgeous of sustainable European oak, each Happy Cloud Lamp is expertly cut and created with hand crafted love and an eagle eye for details – especially so in making that sweet cloud face! Measuring around 25x17cm, the Happy Cloud Lamp is fitted with the choice of a European or American electrical plug, but is an easy enough swap over for Australian power points. Head to Etsy for the happiest Happy Cloud Lamp you ever did see, $120 from Studio Zoethout. Shipping to Australia is available.